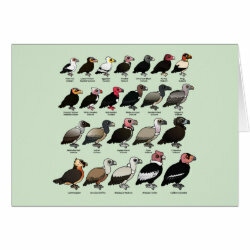 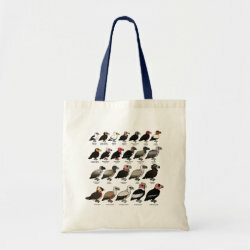 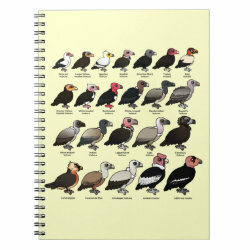 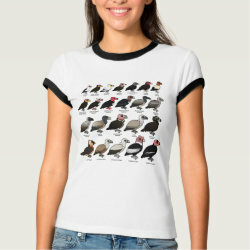 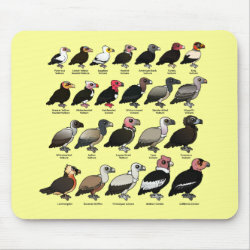 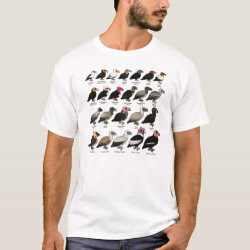 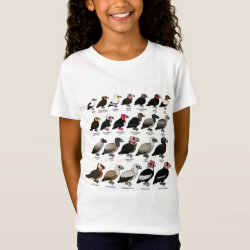 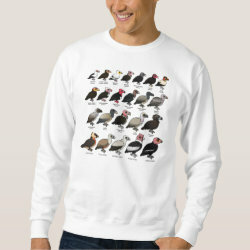 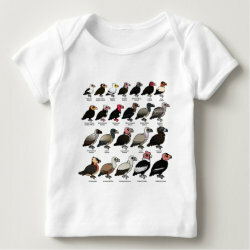 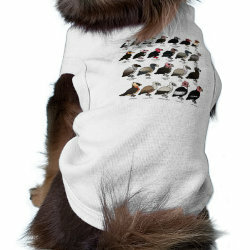 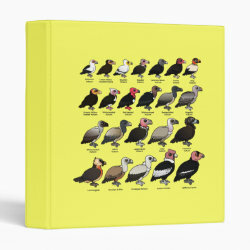 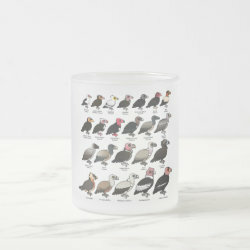 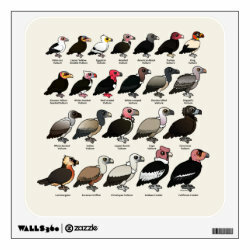 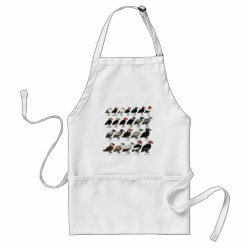 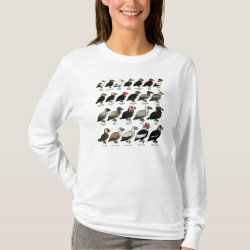 This design from Birdorable has each vulture species (there are 23!) 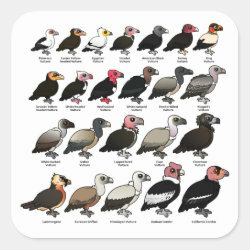 shown in size order, from the smallest (Palm-nut Vulture) to the largest (California Condor). 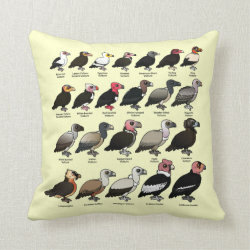 If you love vultures, you know they need help. 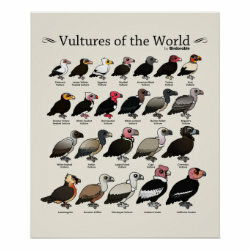 Share the world's more... vultures with this original cute bird design! 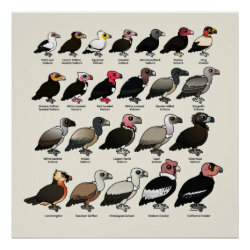 All of the vultures are listed here: Palm-nut Vulture; Lesser Yellow-headed Vulture; Egyptian Vulture; Hooded Vulture; American Black Vulture; Turkey Vulture; King Vulture; Greater Yellow-headed Vulture; White-headed Vulture; Red-headed Vulture; White-rumped Vulture; Slender-billed Vulture; Rueppell's Vulture; White-backed Vulture; Indian Vulture; Lappet-faced Vulture; Cape Vulture; Cinereous Vulture; Lammergeier; Eurasian Griffon; Himalayan Vulture; Andean Condor; California Condor.